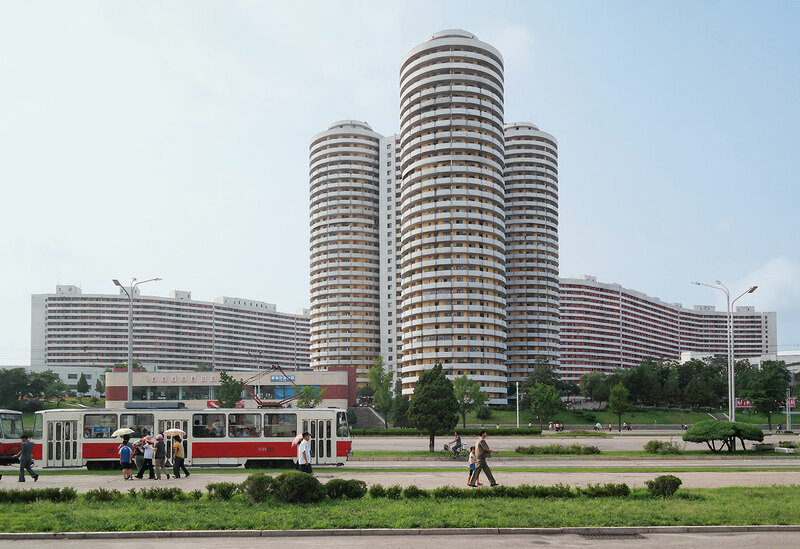 When British landscape architect Nicholas Bonner set out for North Korea’s capital, Pyongyang, in 1993, he anticipated a gloomy concrete metropolis. 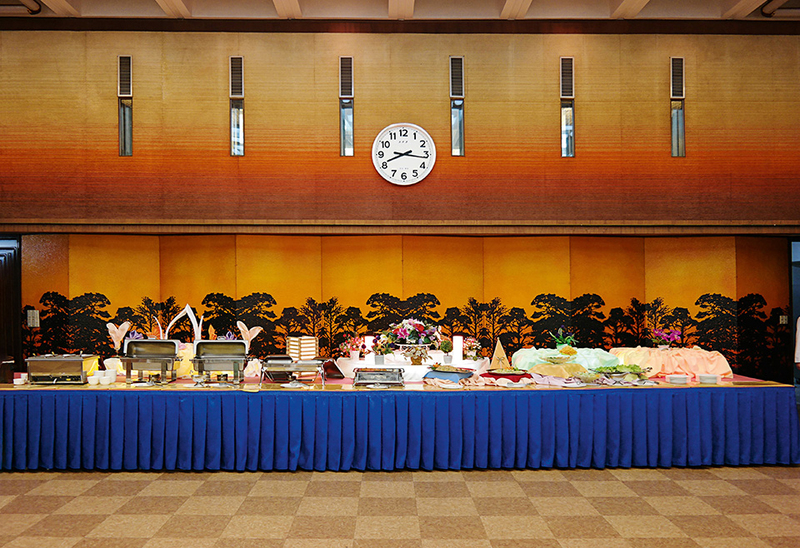 However, on the flight there, brightly colored sugar and pepper condiment packets hinted that a more florid environment lay in store. 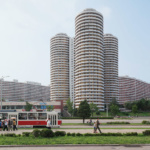 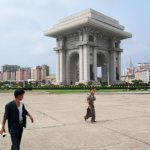 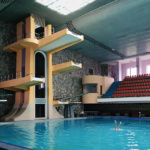 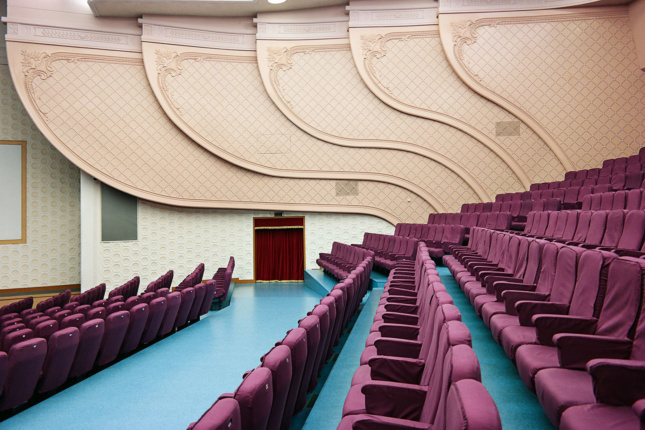 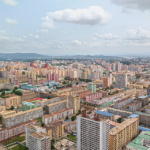 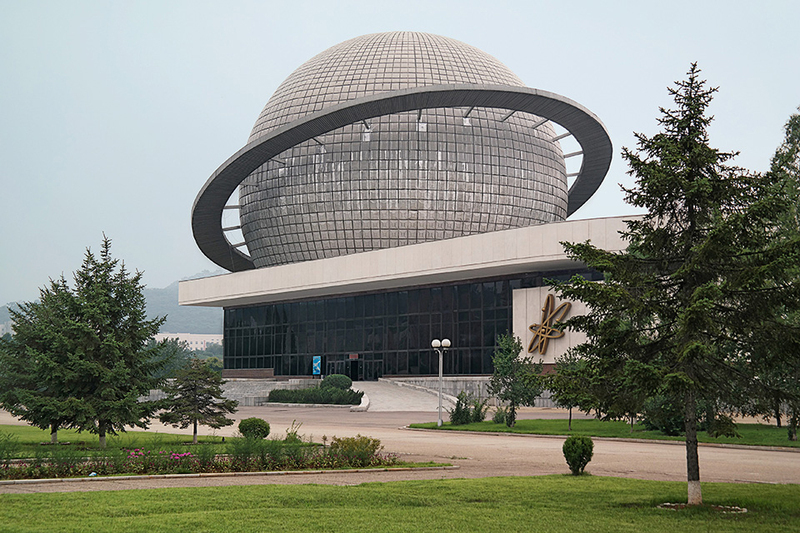 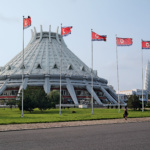 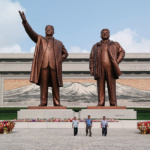 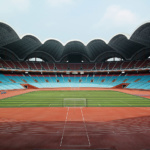 Fast forward 25 years and Bonner is offering tours of Pyongyang to visitors, including The Guardian‘s architecture critic Oliver Wainwright who documents the candy-colored city in his new book, Inside North Korea available August 15 from Taschen. 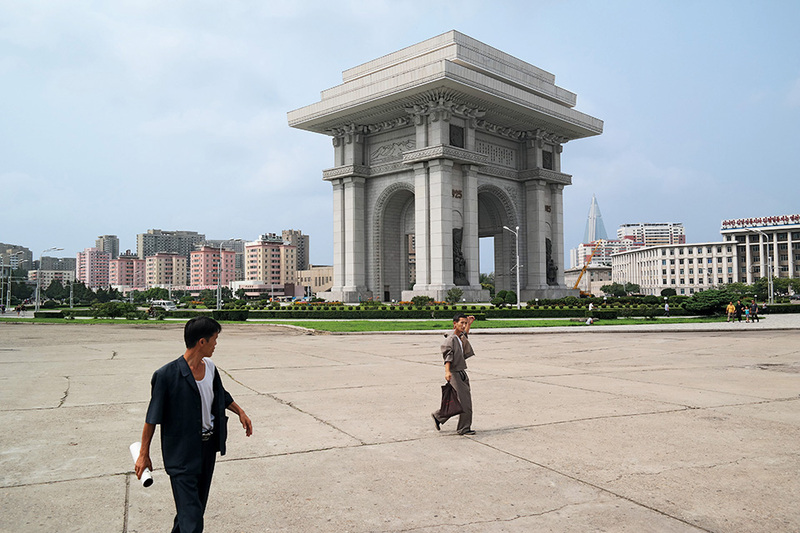 Wainwright only spent a week inside North Korea, but that was sufficient time to take enough photographs to fill a 240-page book. 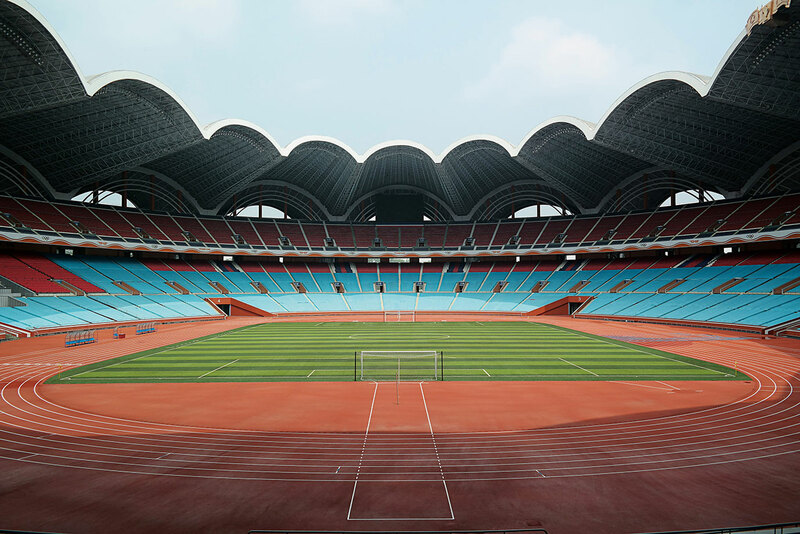 “Every day was jam-packed,” Wainwright told The Architect’s Newspaper. 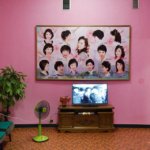 The photographs along with an introductory essay shed light on what is a typically closed-off country that has strict rules for journalists. 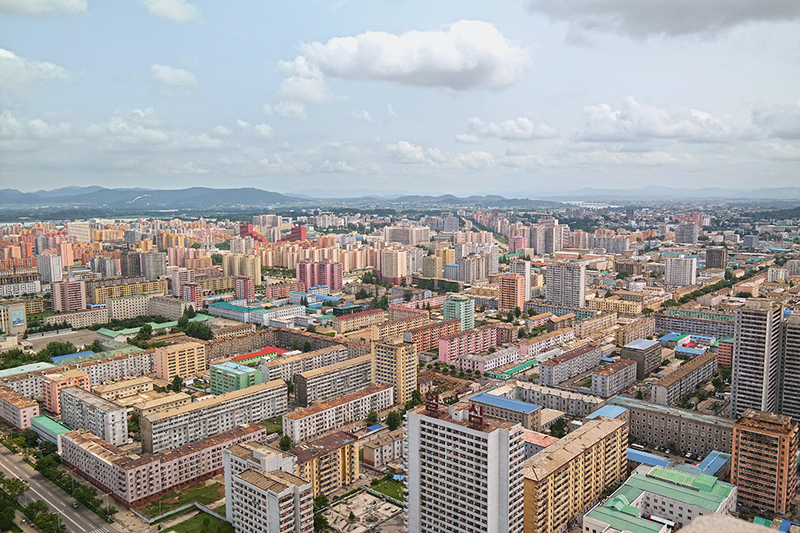 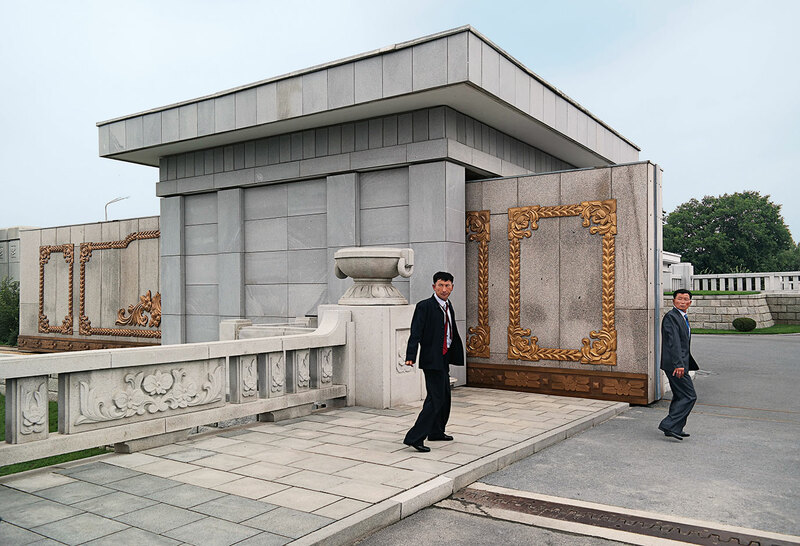 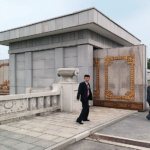 Though he was shepherded by three guards at all times, Wainwright was afforded more freedom by traveling as a tourist instead of a journalist and was able to document Pyongyang’s built environment through a point-and-shoot camera. 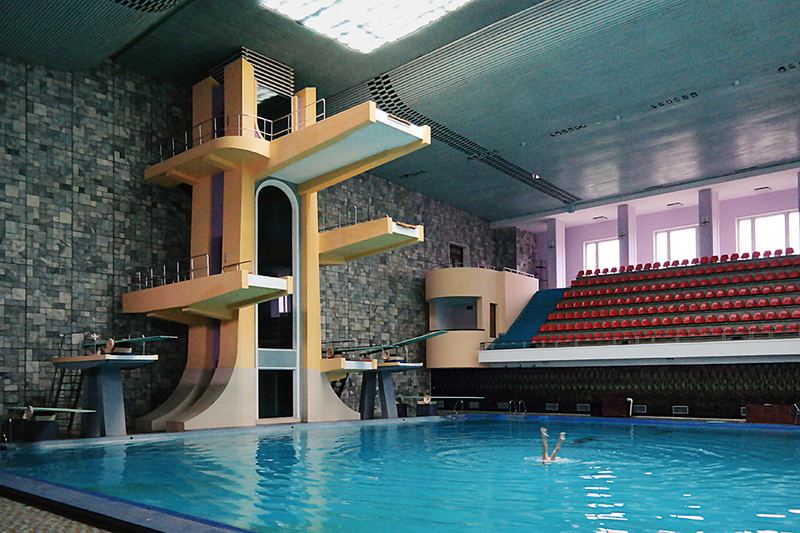 The images, particularly the interior shots, could easily be stills from a Wes Anderson movie. 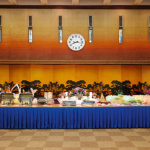 Interiors are laid out symmetrically, with portraits of the former North Korean premier, Kim Il-sung, and the former Supreme Leader of North Korea, Kim Jong-il, typically hanging at the focal points of the room. 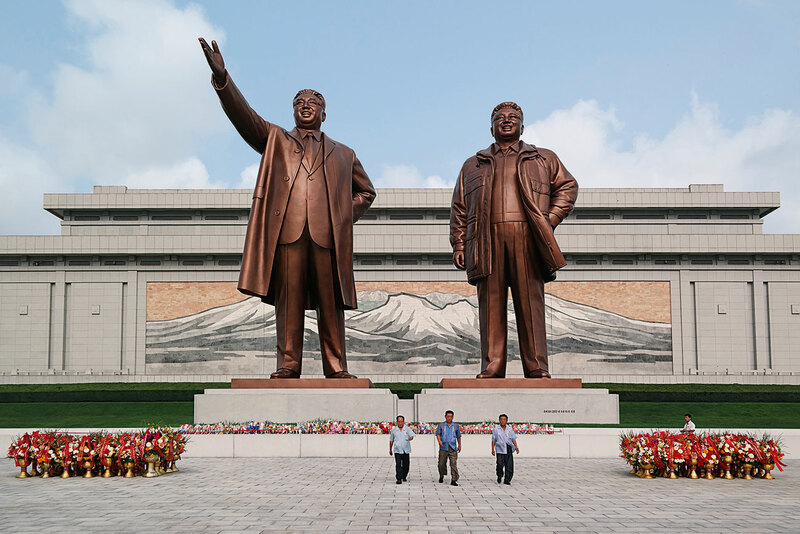 Their presence is no accident. 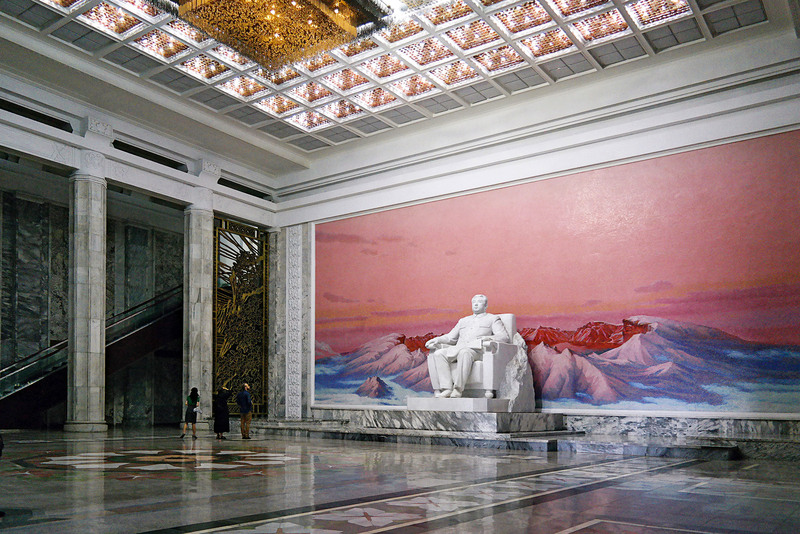 According to Kim Jong-il’s 160-page treatise, On Architecture, “the leader’s image must always be placed in the center of the architectural space,” a dictum which is carried through with regulations that stipulate that nothing else can be hung on the same wall as these portraits. 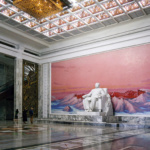 For a country so focused on image, it’s unsurprising to learn that it has tried to scrub all foreign influences, U.S. imperialism included, from its aesthetics and architecture. 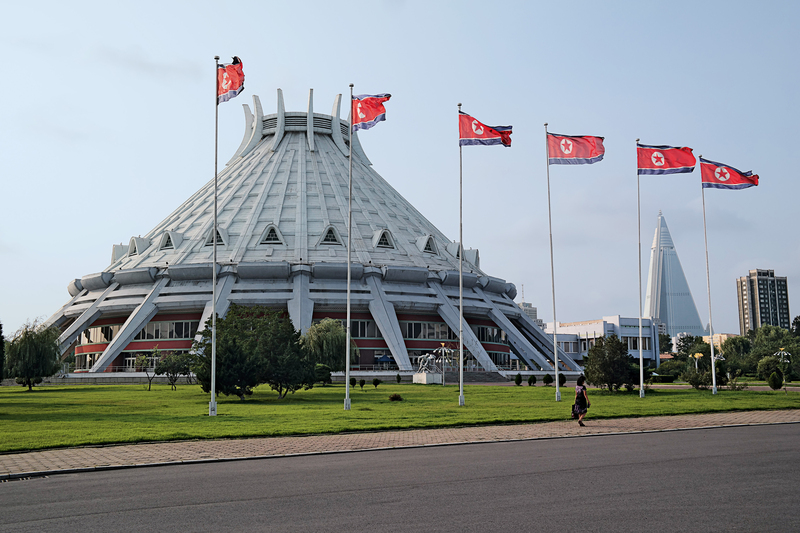 “An architect who is convinced that his country and this are the best will not look upon foreign things or try to copy them, but make tireless efforts to create architecture amenable to his people,” wrote Kim Jong-il in On Architecture. 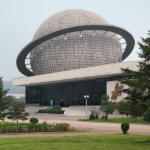 Despite all this, images of architectural precedents could be found at the Paektusan Academy of Architecture where images of buildings from around the world could be found, from Moscow’s Seven Sisters to Terry Farrell’s MI6 Building in London. 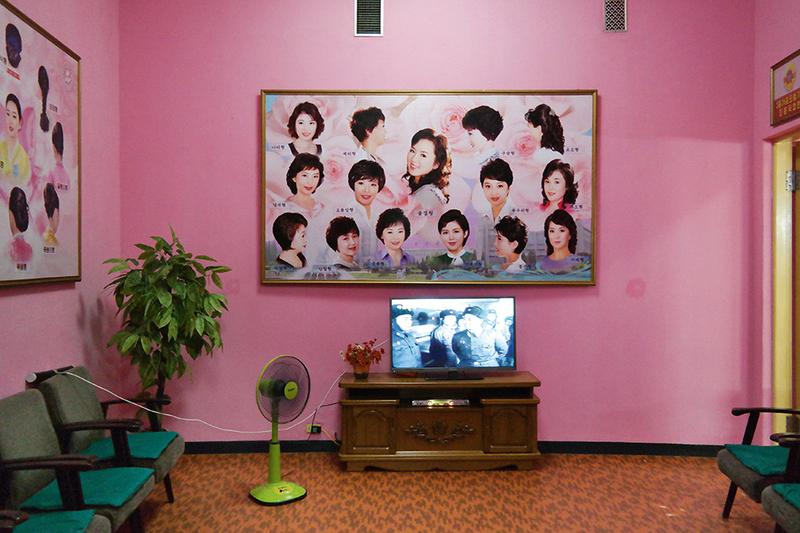 In all, Pyongyang embodies North Korea’s approach to self-presentation: Big Brother-esque images that project the state’s power and ability to protect its citizens amplified at a bombastic scale and sweetened with saccharine pastels.